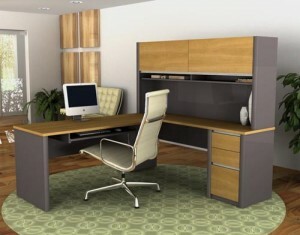 Are you looking for sustainable office furniture for your business in the Tampa, Florida, area? If so, look no further than Reusable Office Interiors. Our experienced professionals can update your office space with aesthetically pleasing and functional furniture that will impress clients and customers alike. Here at Reusable Office Interiors, we sell gently used and refurbished office furniture from top-notch manufacturers like Haworth, Teknion, Herman Miller, Steelcase, and Knoll. The variety of beautiful furniture we offer is perfect for business owners who want to create eco-friendly office spaces by utilizing recycled furniture. Additionally, our skilled experts can deliver your new furnishings as well as ensure that all pieces are set up properly so that you can get back to work as quickly as possible. We can also help you design a beautiful space that reflects the unique style of your brand. Plus, in effort to be as green as possible, we offer liquidation and recycling services. We want to do our part in eliminating the number of items that end up in landfills, so we will help you get rid of your existing furniture in an environmentally friendly manner. Recycling eligible items can even result in your business receiving tax credits. If you would like to learn more about all of the products and services we offer, contact Reusable Office Interiors today. One of our knowledgeable specialists will be able to answer any questions you have and tell you more about the sustainable office furniture we have available for business owners in the Tampa, FL, area.